Diners at the restaurant, a KFC brand in China known as KPro, can place their order at a wall-mounted terminal, which then scans their face. Paying for food at one KFC restaurant in China just got a lot more personal. Forget cash, credit cards or a smartphone -- customers can now settle the bill with their face thanks to new technology unveiled on Friday. Ant Financial, an affiliate of Chinese e-commerce giant Alibaba (BABA), launched the new service in the eastern city of Hangzhou. 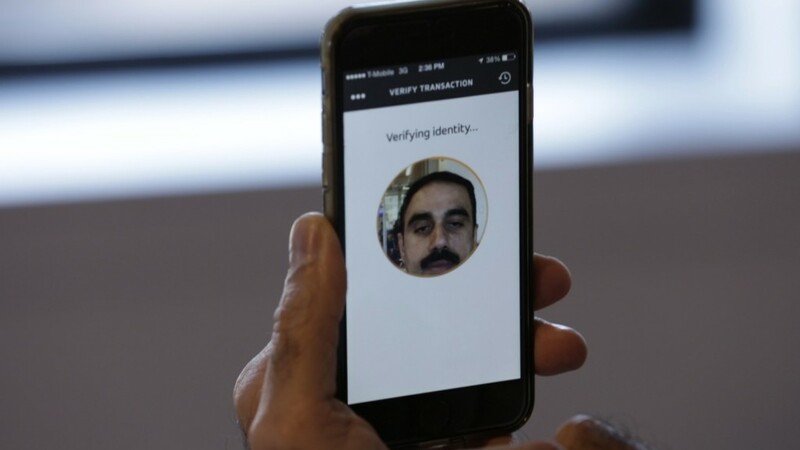 It's the latest example of the growing use of facial recognition by businesses and government agencies in the world's most populous nation. The system is based on Ant Financial's digital payment platform Alipay, which has more than half a billion users worldwide and already allows people to sign into its Chinese app using their face. Ant says the KFC restaurant is the first physical store in the world to use facial recognition software to take payments. The company is eager to reassure consumers that the technology is secure. The software analyzes more than 600 facial features to make a match, and uses a 3D camera and a "liveness" algorithm to make sure people aren't trying to fool it with photos or videos of someone else. Similar technology is already being used in a variety of ways in China. Tech company Baidu (BIDU) began testing facial recognition software last year to manage tourist admissions in Wuzhen, a historic town that receives millions of visitors each year. Staff at Baidu headquarters can pay with their faces in the company restaurant. 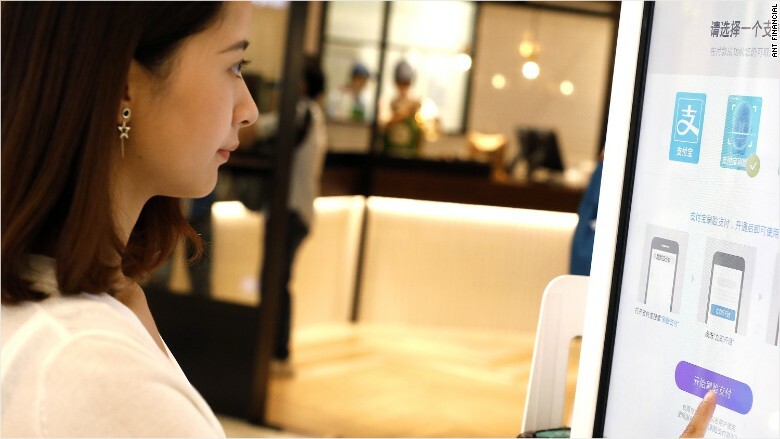 Baidu has also attempted a more ambitious test project at a KFC in Beijing, scanning customers' faces to try to predict their preferred order based on factors such as age, mood and gender. "We hope one day in the future people can go out without their cell phones or wallets," said Dong Liyun, a product manager at Ant Financial. 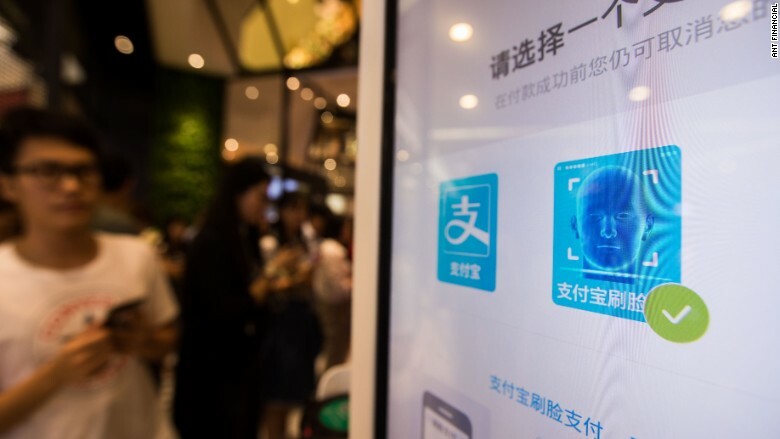 Experts say the introduction of facial recognition software in China has been helped by the country's massive database of citizens' ID photos -- as well as the huge amount of images collected by internet companies. Western tech firms have taken a more cautious approach because of privacy concerns. Google (GOOGL) said in 2011 that it had scrapped software that would let smartphone users snap a picture of a person's face to find out who they are. Chinese authorities, meanwhile, are already combining facial recognition technology with the country's network of surveillance cameras to monitor citizens. Police are reported to have caught suspects by surreptitiously scanning faces at events, including a recent beer festival. "Facial recognition has started to become a requirement in new city surveillance projects in China," research firm IHS Markit said in a recent report. Face scanners even made it into the toilet stalls at a popular park in Beijing in order to stop people taking more than their fair share of toilet paper.